Are you searching for a new creative process that is fun and satisfying? Are you looking to find your way into making art and feel unsure about where to start? Or maybe you’ve been printmaking in professional studios but want to make beautiful prints at home, without needing a press. Inspired by Sophie’s work and wondered how it’s made? You’re in the right place. Sophie is an experienced workshop facilitator, specialising in sharing her quick results print process. She has worked all over Bristol and the South of England to deliver creative workshops that are fun and engaging for a range of ages and abilities. Sophie has delivered sessions at schools, youth groups, festivals, a Dementia Assessment Ward, care homes, supported housing for homeless adults and many more. She is experienced in running 10 week printmaking courses for young people, delivering a Bronze Arts Award Qualification. Some upcoming workshops are listed below, but you can also book Sophie to work with your school, your team at work or your gran for her birthday! She will create a bespoke workshop to your requirements. 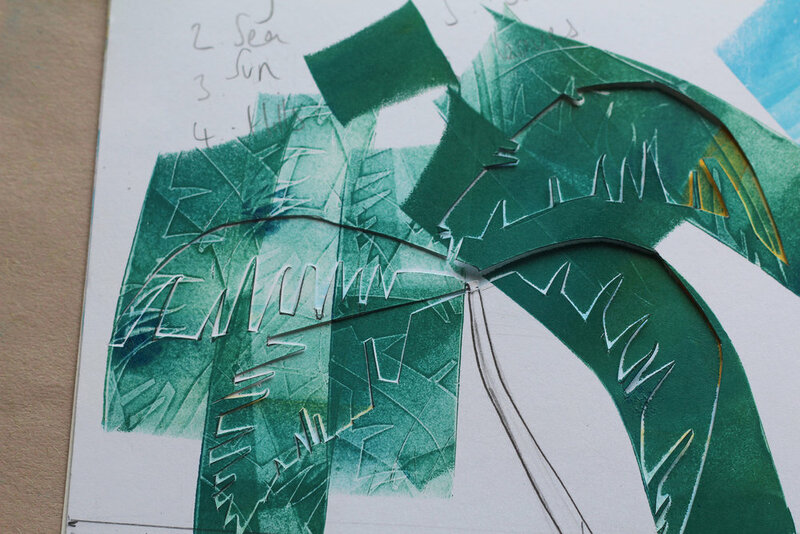 ‘Sophie is a very skilled and creative arts practitioner, it was very easy to plan our activity with her and she has a gentle and encouraging approach to participants…she’s a good find and we’d definitely use her again’ - Fiona (Imayla). Sophie will share with you her knowledge and enthusiasm for this addictive process. Discover the endless possibilities of this simple and effective technique. Have you got a special event coming up and would like to get a group of people together to the spend some time getting creative? 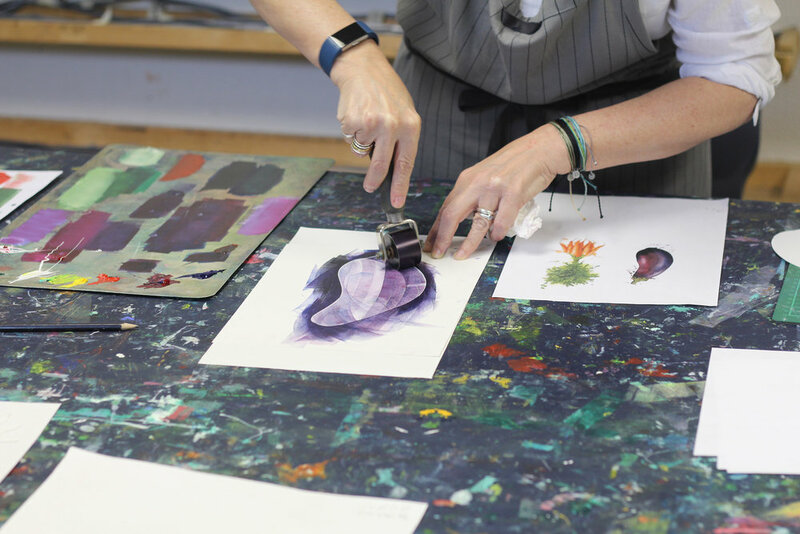 Do you want to have fun mark making, or creating a collaborative print with a friendly supportive tutor? Whether it’s for your best mates hen do, your team at work or your school class, Sophie can create a print workshop to suit your groups needs.